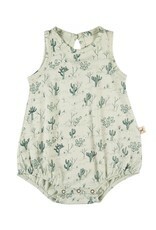 Tank onesie with loose fit. 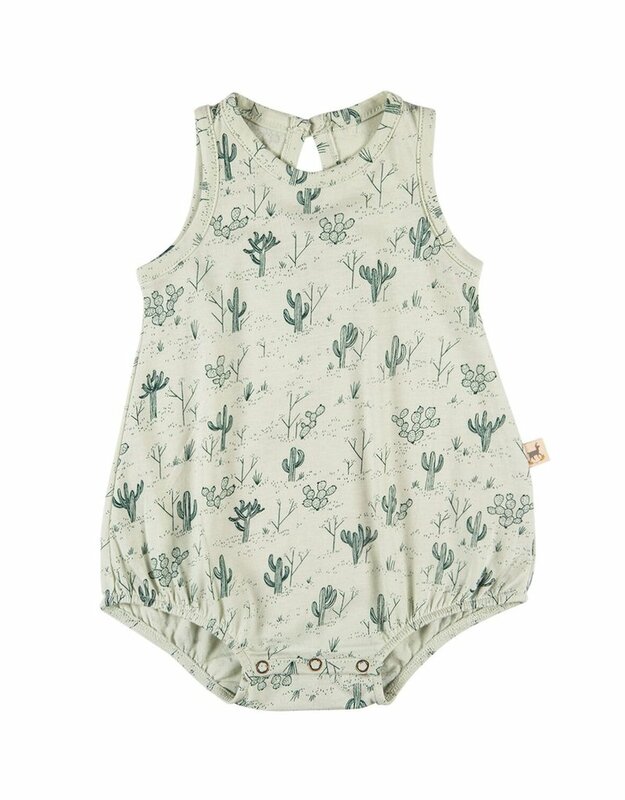 Mint green with darker green cacti print. Snap closure and elastic legs. Single button back. 100% pima cotton.